The price tag for the 2015 federal election has come in at $443 million, up 53 per cent from the $290 million the 2011 election cost taxpayers, according to the Elections Canada preliminary estimate. Part of the reason for the increased cost was the unusually long campaign period of 78 days, almost double the length of the previous election. There were also 30 new ridings in play. Broken down, that cost is about $17 per voter, compared with $12 in the previous election. The independent agency doesn't yet know how many millions it will have to pay out to political parties and their candidates, who are eligible for rebates of up to 50 per cent and 60 per cent respectively for their campaign expenses. Elections Canada estimates that rebates topped $60 million after the 2011 election — a figure that's bound to be higher for the 2015 vote, since the unusually long campaign meant spending limits for parties and candidates were effectively doubled. The preliminary cost estimate is contained in an Elections Canada report on the Oct. 19 election, tabled today in Parliament. Stations that were running low on ballots. Problems with new personal identification requirements. 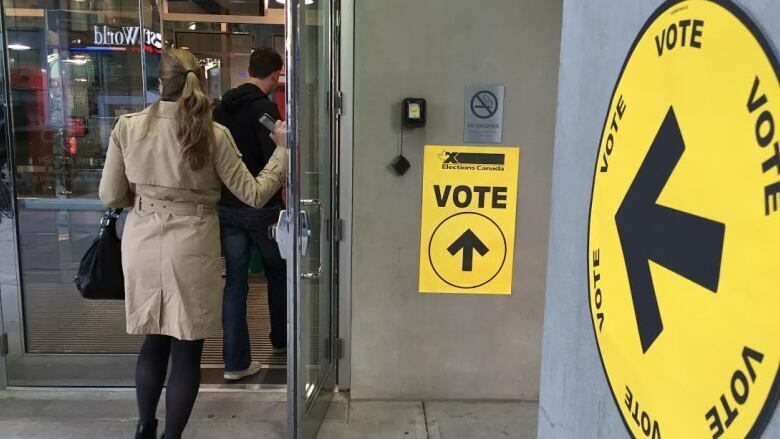 Accessibility at voter stations (3,085 complaints from disabled Canadians). For the first time, Elections Canada opened satellite offices at university, college and CEGEP campuses as well as friendship centres and YMCAs. The 71-location pilot program was launched to make it easier for students, First Nations and young people to vote. More than 70,000 people cast their vote in these locations, which were open from Oct. 5 to 8 for about 10 hours a day. A number of trends emerged in this election. For example, the percentage of prisoners who voted in the election was greater than the proportion of Canadian Armed Forces members who voted . A total of 50.5 per cent of Canadians behind bars in federal prisons or provincial jails voted, up from 39.9 per cent in 2011, while 45.7 per cent of Canadian Forces members voted this time, compared with 40.9 per cent in 2011. The actual numbers of prisoners who cast ballots in 2015 was 22,362, while the number of Canadian Forces members who voted was 29,247. Among Canadians living abroad who were eligible to vote, 70.5 per cent cast ballots, up from 59 per cent in the last election. There was a huge spike in the number of voters who cast ballots in advance polls. Nearly 21 per cent of Canadians voted before election day — about 3.7 million voters — and that marks an increase of 74 per cent from 2011, when 2.1 million people voted in advance.